Coffee is pretty much the most consumed morning beverage ever, right? I know that on some days, it's hard for me to function because I'm so tired and coffee is my best friend. 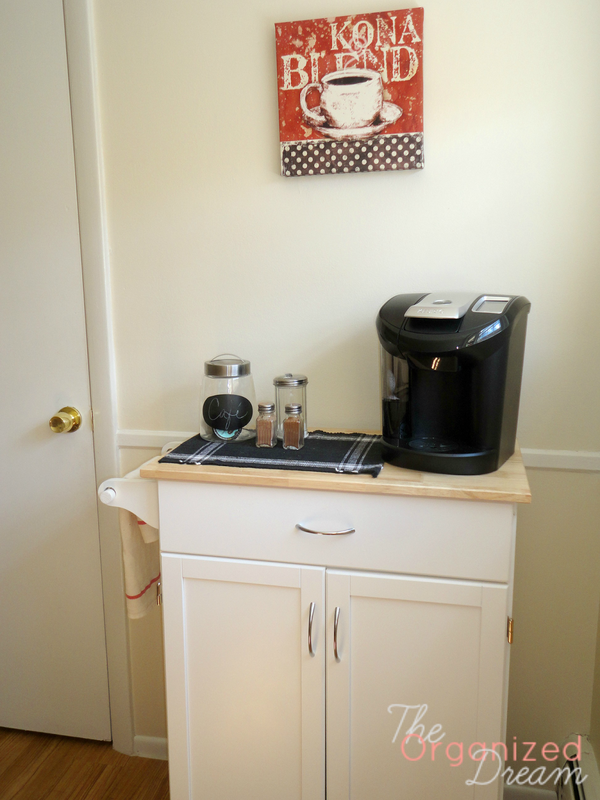 I came to the conclusion that I was going to put a coffee station in my kitchen when I saw a bunch of Pins on Pinterest. 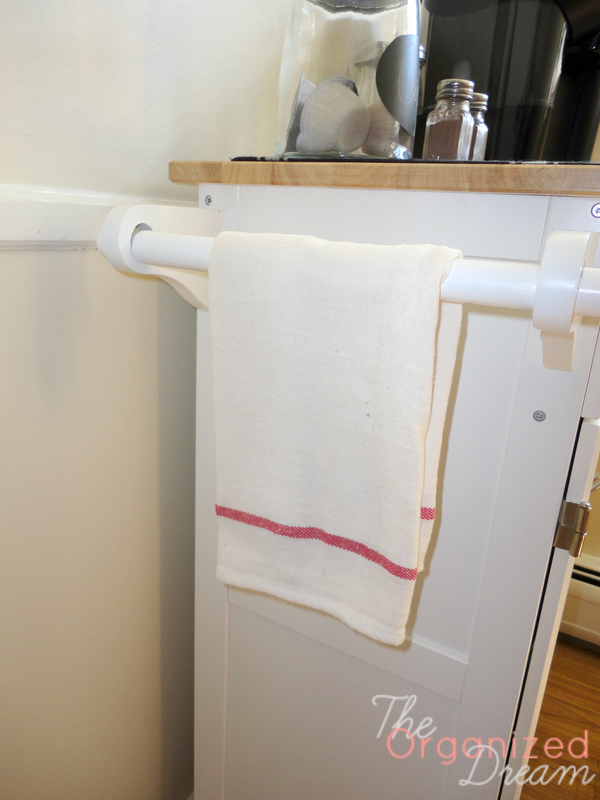 I don't have a bunch of counter space, but I did have an empty corner in my kitchen where a coffee station would fit fantastically. I love this chalkboard labelled container. It's perfect for my Vue cups. I also have my sugar dispenser and salt and pepper shakers to conveniently hold cocoa powder and cinnamon. 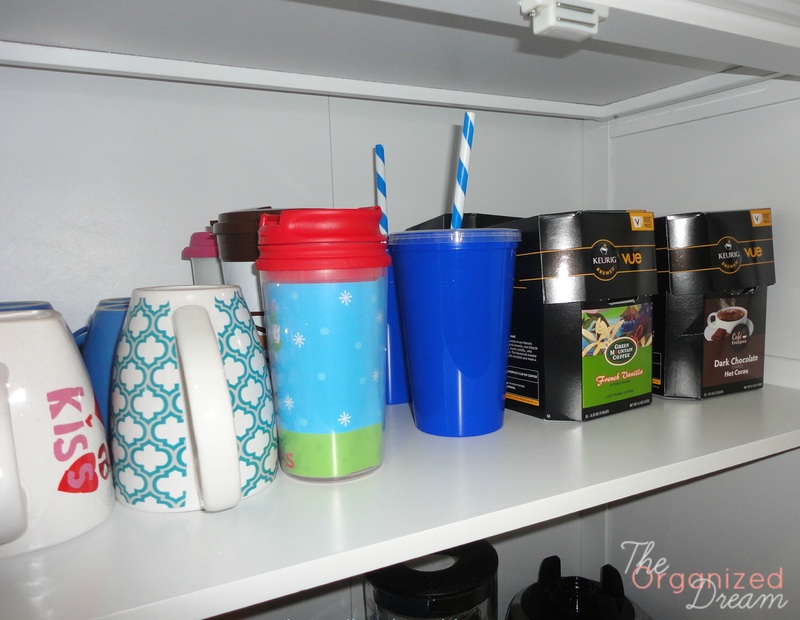 The top shelf of the cabinet area is for my mugs, cups and extra coffee. The blue cups with the striped straws are my favorite things ever! I use them all the time. 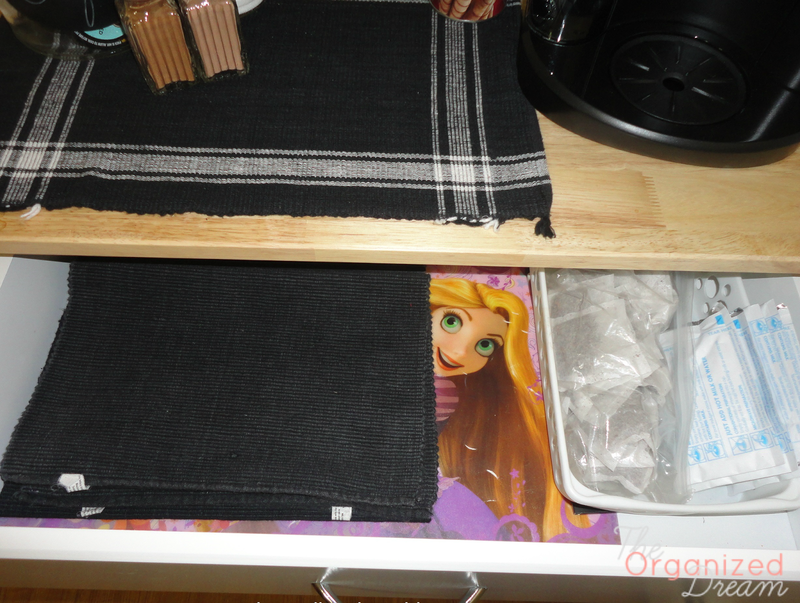 The bottom shelf is where I store some of my baking items. Eventually, I want to try to fit all of my baking essentials in here.The basket on the left is my mixer. The basket on the right contains all of my cookie cutters. Thanks for joining me today. 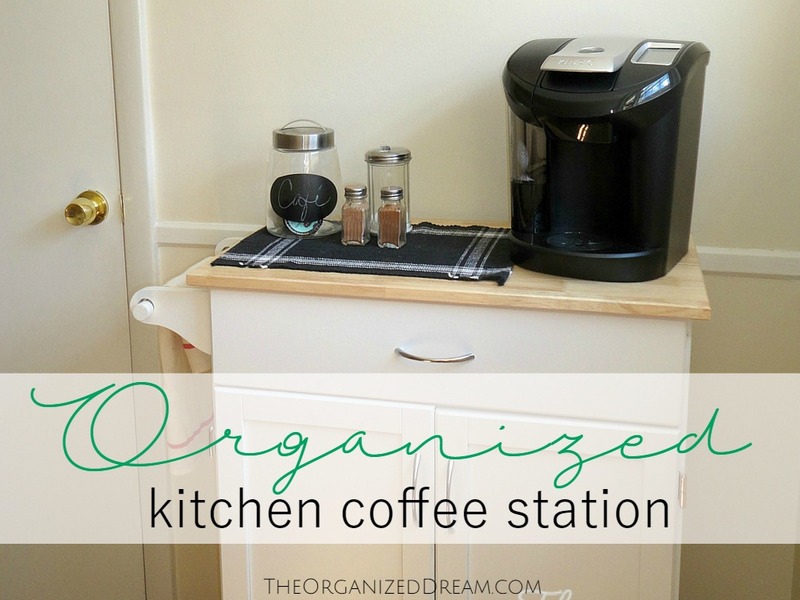 Are you a coffee lover and have a coffee station? I'd love for you to share! I just love this!! Someday when I have my own home I will be having a coffee station...I think it would be so fun! I love how your space is turning out! Hi, Nicole! Thanks for taking the time to consider my post for your link party! I appreciate it and have added your button! Thanks again! Awesome! Thank you so much and I'll see you there! I am no good without my coffee, thanks for posting this week at the #WWDParty. 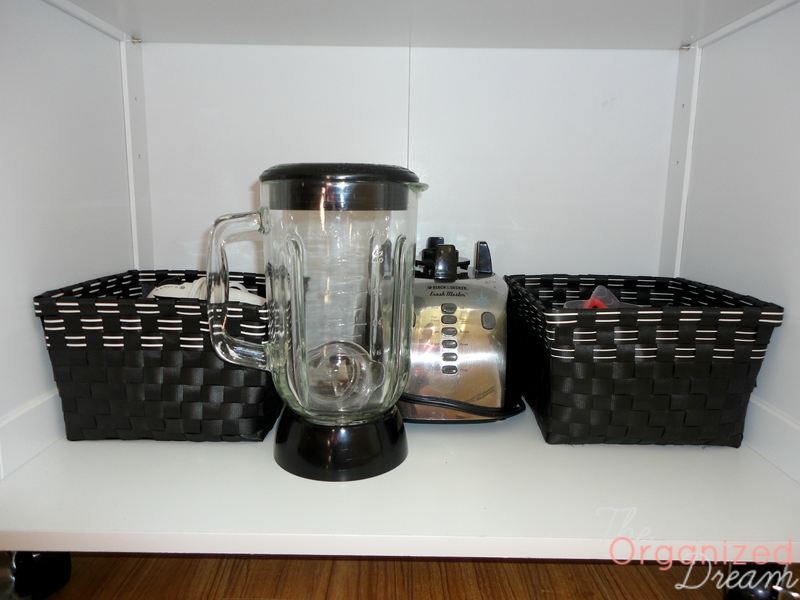 You have a great space for your coffee station. I need to set mine up a little better. I have to have my morning 10 cups of coffee to become functional. I love coffee. It helps me get through most of my days. Without coffee, I would be extremely tired. I have my own little coffee station of my own. Lovely. Wish I had room for a coffee/drinks station, too.